Trevor Gleeson is on paid leave after the Tigers have released that they do not intend to keep him on as head coach of The Melbourne Tigers in the 2012/13 season. The tigers have stated that Trevor Gleeson will step down with pay, as he still has another year left on his contract. He was not given any reason for being stood down.Gleeson has been head coach of the Melbourne Tigers prior to the 2011/12 season and lead his team to 11-17 and finished sixth place and missed the playoffs for the third straight year. This is just more unprofessional behaviour coming from the team thatacted unprofessionally all season.Seamus McPeake stepped down as CEO after firing Ayinde Ubaka one of the best guards in the league mid season and it was hoped that the organisation would look after their employees after this resignation. Perhaps they will do the right thing and pay out Trevor Gleeson in full and it was an agreed parting of ways. It seems everyone in that organisation is jumping boat. 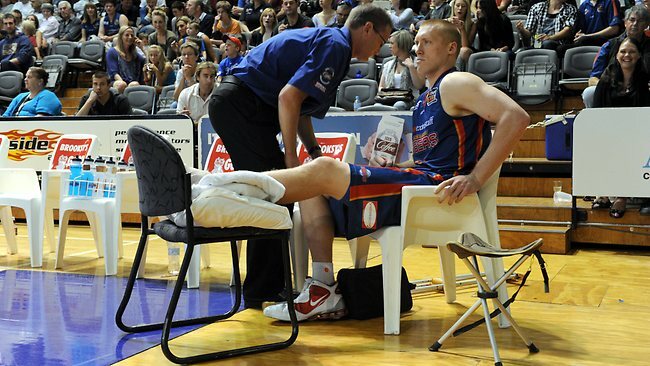 Meanwhile Adam Ballinger has been recruited by the Melbourne Tigers. He played very few games the last two seasons due to injury concerns but if he is fully fit he can be a very good player. I just hope the Tigers get the organisation under control and stop losing players, coaches and administration staff.